A draft marijuana grow ordinance released Thursday states that people who break the rules could be fined up to $25,000 per violation per year. 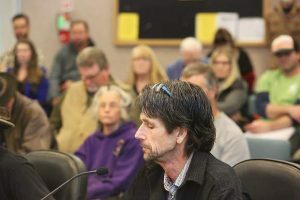 Those penalties are just one part of a 27-page draft ordinance up for discussion at a special 9 a.m. Tuesday Board of Supervisors meeting at the Eric Rood Administrative Center, 950 Maidu Ave., Nevada City. The draft ordinance makes recommendations on several aspects of cannabis cultivation, including grow sizes, appropriate zoning and setbacks. It also recommends the county issue no temporary licenses, meaning legal commercial cannabis grows in Nevada County remain months away. County staff will deliver a presentation to supervisors about the ordinance. No vote will occur Tuesday on the proposed rules, which supervisors could tweak as the process continues. An environmental review will occur before supervisors vote on the ordinance, a process also expected to take several months. “It’ll be another discussion and direction item,” said Alison Barratt-Green, county counsel, of Tuesday’s meeting. Ordinance violations could carry hefty penalties. The draft ordinance recommends a penalty of up to three times the cost of permit fees for licensed growers, or a $1,000 fine per violation for those unlicensed. “Each penalty could be imposed per violation per day, up to a maximum of $25,000 per violation per year,” county documents state. The draft ordinance calls for no commercial cultivation in residential areas, including the residential agricultural zone. Medical commercial cultivation could occur in general agricultural, agricultural exclusive and forest zones that meet certain requirements. Parcels from two to five acres could have 500-square-foot indoor grows. No outdoor or mixed-light grows could occur. Parcels from five to 10 acres could have 2,500-square-feet grows. Parcels from 10 to 20 acres could have 5,000-square-foot grows. Parcels over 20 acres could have 10,000-square-foot grows, the maximum allowed under the proposed ordinance. All grows over five acres could be indoor, outdoor, mixed-light or a combination. The draft ordinance recommends a limit of three commercial permits per person or entity. Additionally, no person or entity could have a financial interest in over three commercial cannabis businesses. 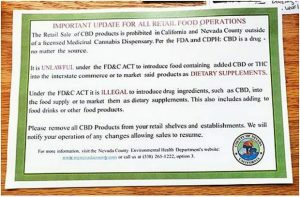 “This is intended to ensure an equal playing field for all cultivators and help protect our small craft farms from being driven out of business by larger entities,” county documents state. Commercial growers would need to obtain a self-distribution license to transport their own cannabis to another licensed person, the draft recommends. The draft ordinance would impose a 1,000-foot setback between grows and “sensitive sites,” which include schools, day cares and youth centers. The county could tweak its list of “sensitive sites,” adding spots like bus stops and churches. The county could issue a cultivation permit and allow a grower two years to fix any ordinance violations. Any buildings used for growing must meet code requirements before a permit is granted. Concerning personal grows, the state allows six plants indoors. Nevada County would allow no outdoor grows in residential areas, including residential agricultural. The draft ordinance would allow a maximum of six personal plants outdoors in general agricultural, agricultural exclusive, forest and timberland production zones. However, supervisors have yet to set a minimum parcel size required for those outdoor personal grows. It’s possible the ordinance could require anyone growing for personal use to register with the county.